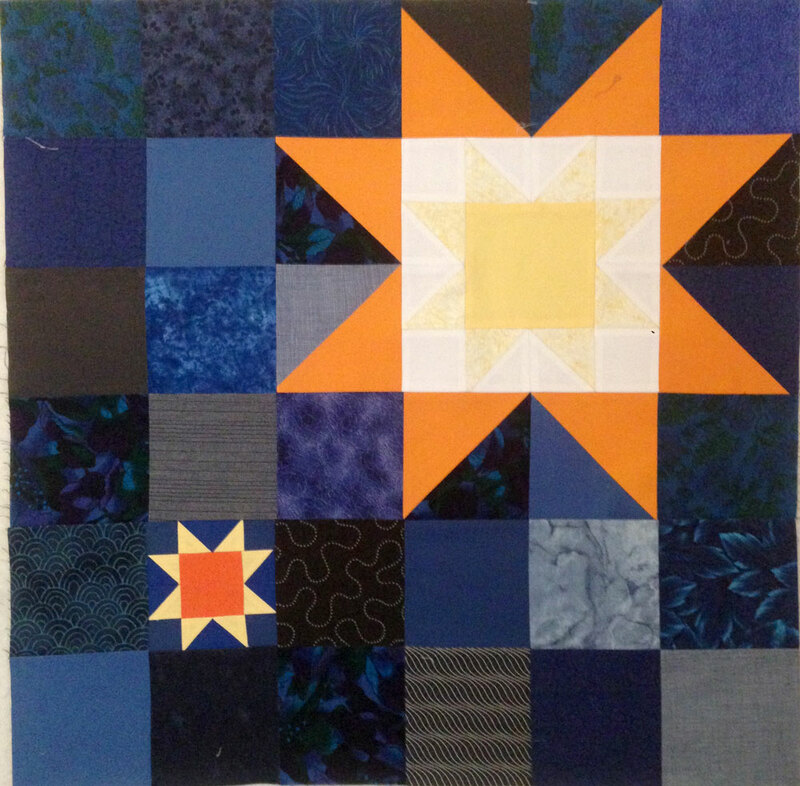 After spinning a bit, I finally decided that the my next project will be the PMQG Block of the Month quilt! I’ve never done one before, and of course… I’m 5 months late to start with the rest of the group – but better late than never! Now that I’ve started something, the ‘obsession’ has set in and I don’t want to stop. It’s the way I’m wired – but it’s also the reason I chose this project to work on right now. Up to now, I’ve never really followed a pattern before, and I’m not so great at making Half Square Triangles, so it’s a real learning curve for me… and I’m really enjoying the challenge of it! It feels really good to have something to work on and get lost in for a bit. 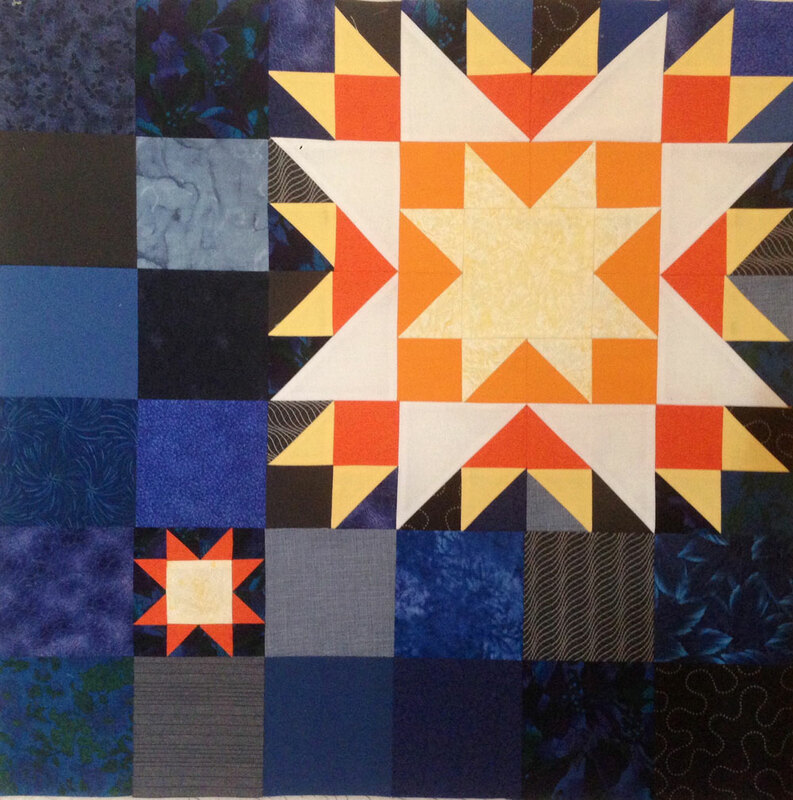 It’s also going to be a really pretty quilt when it’s done, and kind of large. 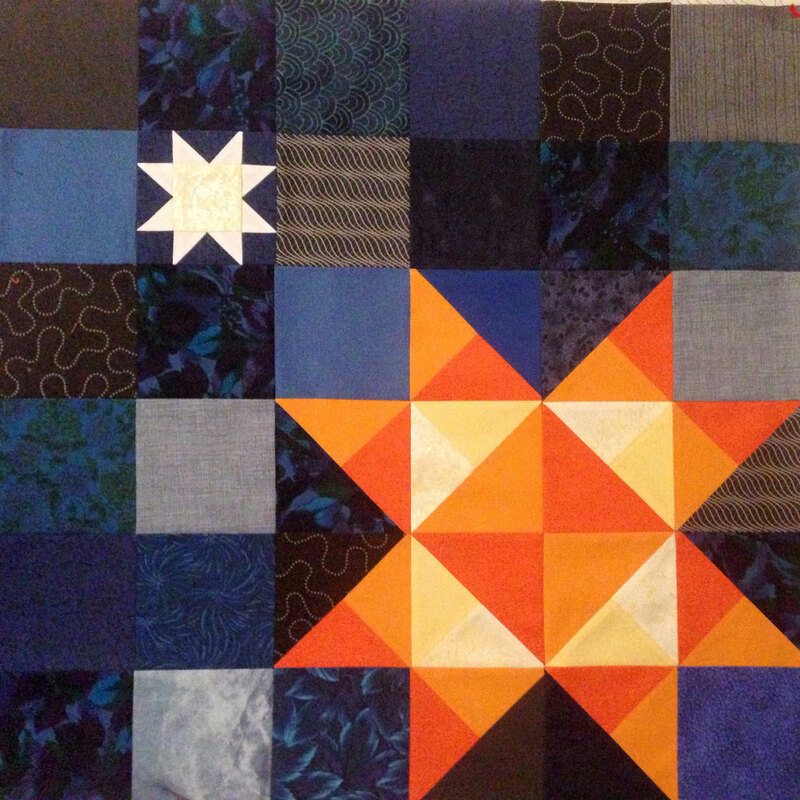 It is supposed to finish at 72″ square, but I think I’ll be adding a border so none of the star points are minimized being right up next to the binding. I have a sneaking suspicion that once I’m caught up here in June, that I’ll be going crazy waiting for the last 3 blocks – sort of like reading a series of novels only to catch up to the author before getting to the end of the story. We’ll see how that goes! The sun is out right now and I have another block to work on, so I’m going to go and enjoy both! The large star in the second picture is really awesome. It’s my favourite so far. So excited, I’m obsessing a bit 😉 But it’s fun! I hope you find the thing that opens the floodgates of creativity – it’s really hard being stuck!